This is the other creation I teased you with last week on my holiday baking list. I’ve recently become totally obsessed with making chocolate bark. So easy to make, and the combinations are endless. I decided to do a holiday take for my Christmas baking and came up with this one. 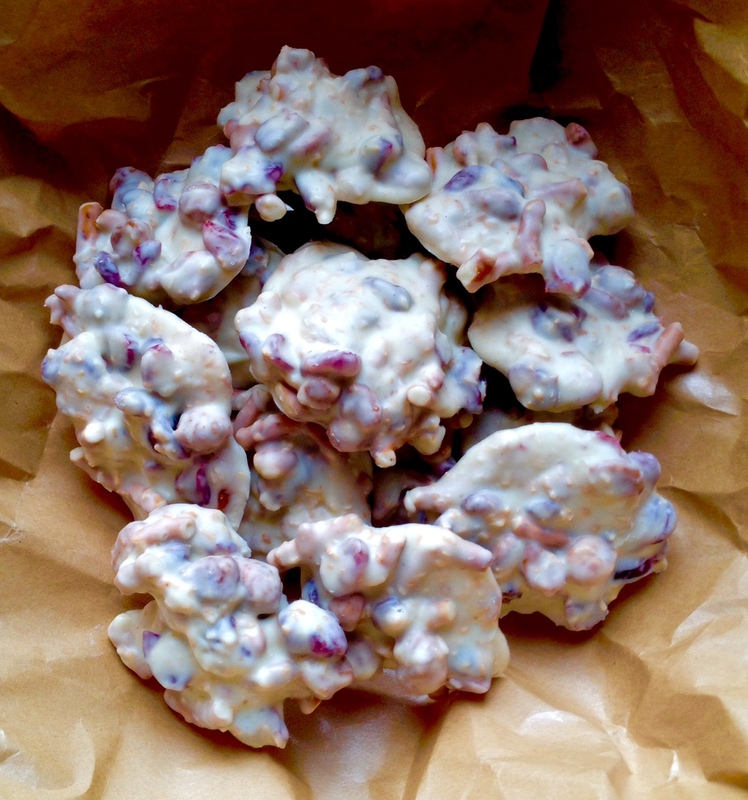 Creamy white chocolate is dotted with festive dried cranberries and toasted coconut. You also get a little salty-sweet crunch from honey roasted peanuts and pretzels. These no-bake drops are rustically beautiful and will add something different to any cookie tray this season. In a large pot over low heat, melt the chocolate wafers until totally melted and smooth. Stir in the other ingredients, and drop heaping tablespoonful’s onto the prepared cookie sheets. Let set until hardened, about 2-3 hours. Store in an airtight container. Thanks Maria! They’re so easy to throw together too!